…It’s a reminder of how much freaking data Google has on us if we leave all of our defaults on. It’s only available for Android and desktop right now. If you use Google Photos, your pics will appear along with the places you stopped along the way. Have you ever wanted a way to easily remember all the places you’ve been — whether it’s a museum you visited during your last vacation or that fun bar you stumbled upon a few months ago? 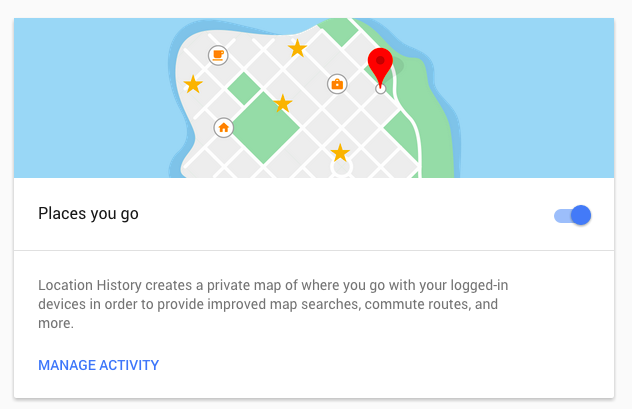 Well, starting today, Google Maps can help. We’re gradually rolling out Your Timeline, a useful way to remember and view the places you’ve been on a given day, month or year. Your Timeline allows you to visualize your real-world routines, easily see the trips you’ve taken and get a glimpse of the places where you spend your time. Or in non-Googler speak…if your significant other knew your phone’s unlock password they could track your movements all the way to the Buckaroo Motel and back, if they wanted to. But they wouldn’t do that, would they? Not scared? Leave it on and retrace your steps to that bar you forgot about.